My senior year of high school, I became a very confused girl. For years, I’d read the Genesis creation account in church but in spring of 12th grade, it collided head on with everything I’d studied about evolution. People I loved had strong beliefs on either side. I read; I studied. And the people I loved discussed around me as I sunk more and more into turmoil. I began to feel uprooted from even my most foundational beliefs about God. I’d always been super active in our church music ministry and made an appointment to talk to our music minister. Sitting in his office one afternoon, tears spilled as I poured out my heart and my questions. Behind his desk, he listened and then spoke these words I will be forever grateful for. With that one question, the cloud of confusion began to clear and the weight I’d been carrying around for weeks perceptibly lifted. Because I knew who Jesus was. I remember the day as an 8-year-old when I wanted to follow Jesus. And later, as a 15-year-old at youth camp, I knew Jesus had asked for full commitment and for redirection. That young girl still had so much to figure out but this I knew: Jesus was my Savior, the Son of God. I could trust Him to answer my questions in His timing. Even when we know Jesus, we can spend our lifetime answering that question. Untested, 17-year-old me knew only a shadow of the Jesus I know now. I didn’t yet know how fathomless His love is – until I’d seen His love is most tender when I am at my worst. I didn’t yet know how limitless His grace is – until I needed it desperately in my mothering. I didn’t yet know how intimate His friendship is – until I was lost without the best life friend a girl could have. Is there any greater adventure than to spend our life not knowing more about Jesus, but knowing Him more? 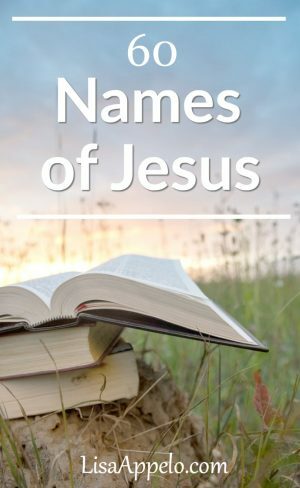 Today, maybe we need to be reminded of who He is in the 60 names of Jesus. May this be not just the central question of our life, but the central passion of our life. This Lent, join me in choosing one name each day. Meditate on that name, let it form your prayer and your praise, and ask the Holy Spirit to show it fully to you. P.S. If your’d like to have encouragement delivered right to your inbox, subscribe here. I’d love to send you the free 100 Days with Christ reading plan and journal. 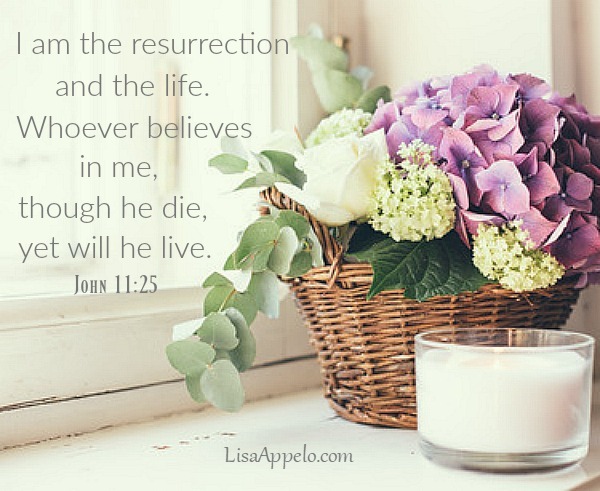 **And a note to the 100 Days with Christ fellow readers ~ I’m so sorry I didn’t get this post up Friday. It was percolating but I just needed grace to post it today. I appreciate you! And I’d love to see pictures of your study on Instagram with hastag #100dayswithchrist. Or share what you’re learning here in the comments or over on Facebook at 7:30 tonight. Thank you so much for the reassurance and encouragement you give me through His Word. Susan, I’m so grateful we can know Jesus through his Word. I’d love to make this into a printable, Jennifer. I need this posted! Love this list, copied and pasted it. Thanks so much! So glad, Paris Renae. I’d love to carve out time and make it printable. I love the following verse, too. “And everyone who lives and believes in Me will never die. (Then Jesus asks a question) Do you believe this?” And that calls for a response. John 11:25 and 26 are two of our 4th Grade memory verses at FBCJax. I love to point out to the children that JESUS is asking a question. Thanks for your encouragement, Lisa. Thank you for pointing that out, Paula…that who Jesus is calls for our response. So grateful our kids are getting the meat of God’s Word each week. Thank you for your ministry! Thank you so much for sharing your faith. I pray that we will use this as a tool to reach the lost and to deepen our relationship with Christ – For HE IS the GREAT I AM! He is. Amen. Thank you, Sandie. 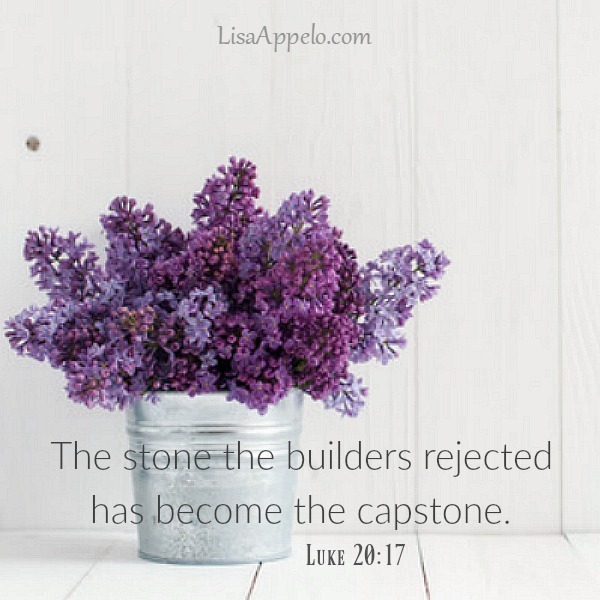 I love everything about this post: your honesty and transparency AND those 60 names of Jesus. It’s true that most of our faith questions are solved by the answer to the ONE question: Who is Jesus?